Astoria International Film Festival 2015: It's A Wrap! The 9TH Astoria International Film Festival screened some of the world’s finest films in the culturally and historically robust small town of Astoria on the northern Oregon Coast, where the Columbia River meets the Pacific Ocean. Billed as “10 Smart. Intriguing & Stimulating Films from Around the World” AIFF 2015 (October 16, 17 & 18) enjoyed the greatest audience attendance in the film festival’s nine year history. THANK YOU Astoria for your support, your sponsorship and your love. Beyond the record attendance, our major coups, well they turned out to be major coups for any film festival, and super major for a film festival of AIFF’s intimate size. AIFF's Centerpiece film -- a love letter to Astoria to pay tribute to Astoria's Scandinavian heritage -- we had the deep honor of being only the third film festival in the U.S. to screen this highly anticipated, beautiful Swedish documentary. To put this coup in perspective, even Italy had to wait. Ingrid did not screen in Rome until two days after Astoria. Ingrid has been winning Special Citation Awards and Audience awards around the world. Sweden has named Ingrid their submission to the 2016 Academy Awards. Ingrid will have only limited theatrical release in New York and Los Angles (to make it eligible for the Academy Awards). 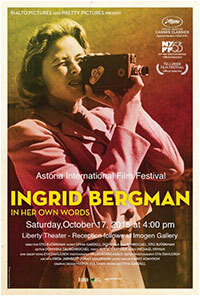 If you saw Ingrid in Astoria you enjoyed a very rare opportunity to see this beautiful film. 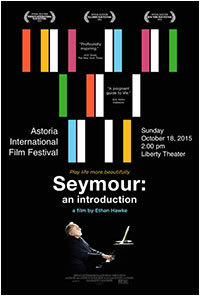 Seymour: An Introduction — AIFFF’s tribute to the stellar work and achievements of the Astoria Music Festival — was another highly acclaimed, compelling and beautiful documentary. A major coup for AIFF, this uplifting and inspiring documentary has screened at all of the major film festivals around the world – Toronto, Telluride, New York . . . and Astoria! A cinema treat for those who joined us for this “not-to-be-missed” screening. AIFF was honored and thrilled to be the World Premiere for this amazing documentary by Oregon filmmaker Ian McCluskey. 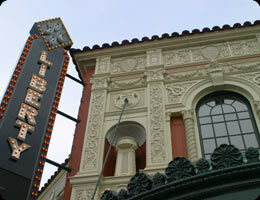 The week after Voyagers’ headliner screenings in Astoria, Voyagers screened to a sold-out crowd of 500 in Portland, as well as a second encore screening (to accommodate the high level of audience interest). 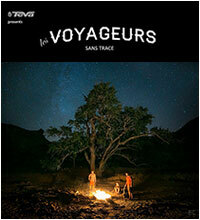 Next up for Voyagers will be the Banff Mountain Film Festival in Banff, Alberta, Canada, and the National Geographic Theater in Washington, DC; both screening are in November. AIFF was honored and thrilled to be the Northwest Premiere of Black Road – just two days after their World Premiere in Beverly Hills, CA — for this stunning dramatic by Oregon filmmaker Gary Lundgren; with final scenes filmed on the Oregon Coast. 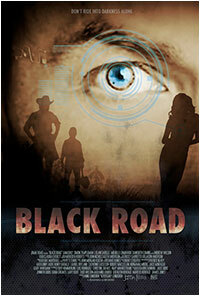 The week after Black Road’s screening in Astoria, Black Road screened to sold-out crowds in Ashland, OR. “To Astoria with love.” We hope that you enjoyed. We invite you to join us again next year.